Our Italian Stock Tie Collection was inspired by the colors and textures from our recent trip to Italy. We sourced textiles both in Florence and Siena for this rich & luxurious line of ties. We have limited materials, so some of these are one of a kind pieces & a few can be replicated just once or twice. As with anything couture, once they are gone, we will not be able to acquire more fabric. All ties in this collection are $85. 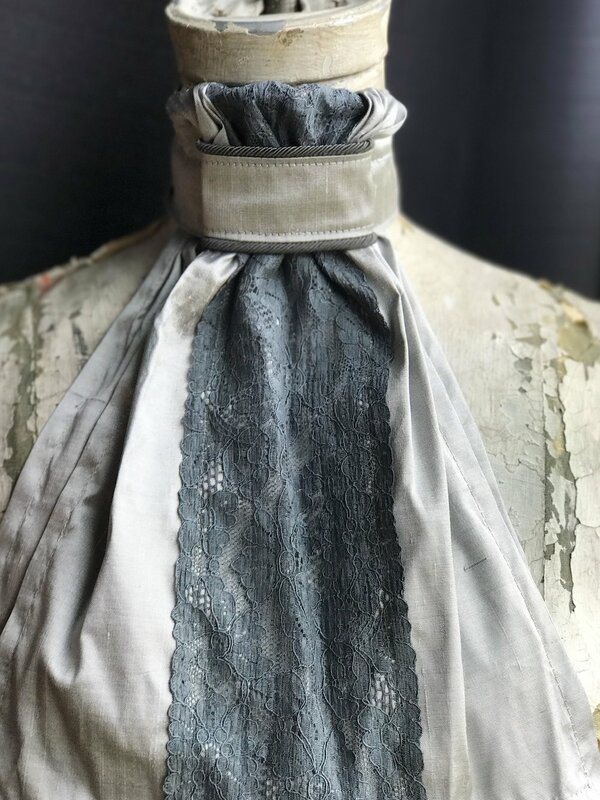 White cotton damask tie with navy velvet & delicate navy lace running the length of the neck. Gray silk tie with gray Italian lace running vertically for an elegant look and feel.